Digital transformation is important in today’s hyper-competitive world. But successful digital transformation requires a new approach, combining agile, direct-to-cloud connectivity, strong security anywhere your systems touch the internet, and the ability to control and manage it all efficiently. If your networking approach is inconsistent or labor intensive, it’s time for a change. You need the strongest security possible that doesn’t get in the way of connectivity, fast internet connections to support the use of cloud apps like Office 365 (without relying on MPLS), and a sensible way to control and manage it all efficiently. 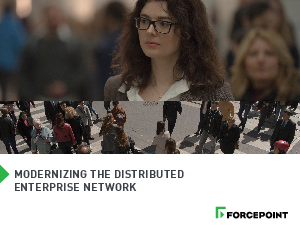 Read “Modernizing the Distributed Enterprise Network” to learn how Forcepoint NGFW supports digital transformation efforts both now and in the future—all within a single solution.